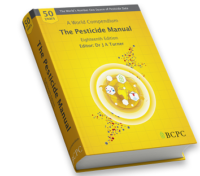 Manual of Biocontrol Agents online - BCPC British Crop Production Council : BCPC British Crop Production Council . 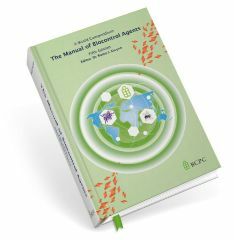 The Manual of Biocontrol Agents – your essential reference for IPM options – regularly updated to reflect the growth and maturity of the global biocontrol industry. All active substances and products included are commercially available. Resistance codes: Fungicide Resistance Action Committee (FRAC), Herbicide Resistance Action Committee (HRAC) and Insecticide Resistance Action Committee (IRAC). Compiled by experts in the biocontrol industry. If you are interested in Multi-User access then please contact the office on 01420 593200, or email publications@bcpc.org for details.